The Original Colored Dispenser with Standard Bandages is perfect for schools and camps! Add some fun colors to your promotional event with this handy product as your next giveaway. The bandages are made in USA and the dispensers are manufactured in USA with imported materials. The latex free bandages come in a case which is made out of styrolux plastic. Great for medical, healthcare and safety promotions! 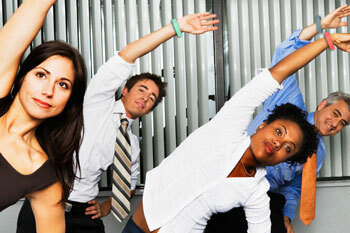 If you’re planning an employee wellness program, be sure to contact your distributor partner for expert service and the perfect promotional products to fit your needs. Step into a healthier lifestyle with this fitness first pedometer. 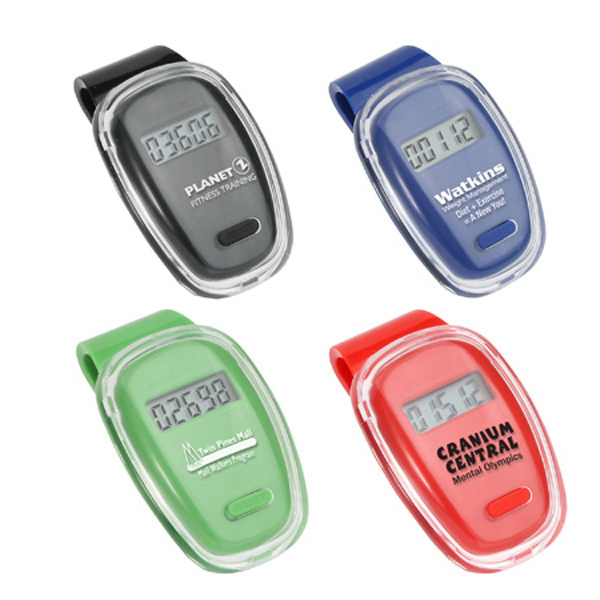 A clear plastic case protects the bright-colored pedometer and showcases your custom logo. This heath accessory also features a large LCD display to easily track daily walking steps with a count up to 99,999 steps. To conserve energy, it has an auto shut-off and idle mode, single button operation and an oversized belt clip with one button cell battery inserted.